Some times all you want in life is a snack (no matter the guilty pleasure) that can hug you from the inside out. It’s easier said than done though when you’ve young prying eyes watching your every move. 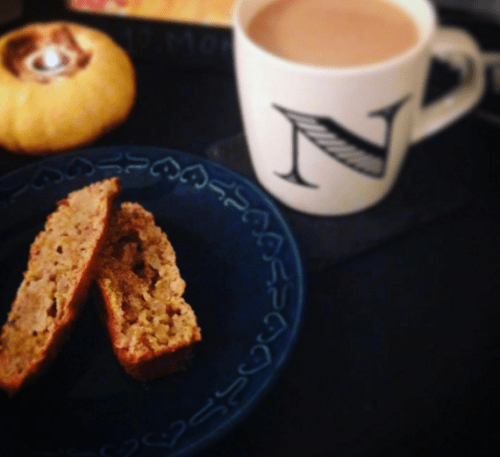 Our Apple & Ginger Oat Loaf is the ideal snack for all the family. Great for warming those wintery nights or even just as an afternoon snack to see you through to tea. To test that it has cooked through use a metal kebab skewer and pierce the middle of the loaf, when the skewer pulls out clean they loaf is cooked.